Join us for an easy, fun ride to celebrate Cyclepalooza 2016's closing: our Third Annual Piñata Ride! We will meet at the ending location of the Euro Picnic, the Central Memorial (1221 2 St SW) from which we will leave around to our Piñata bashing location. We will then hop on our bikes and take turns breaking the Piñatas. How does that work? As fun as you want it, just take a look at the pic from last year! The Piñatas are proudly hand-made by a local business. Afterwards we may go to a patio nearby to celebrate bikes and life! 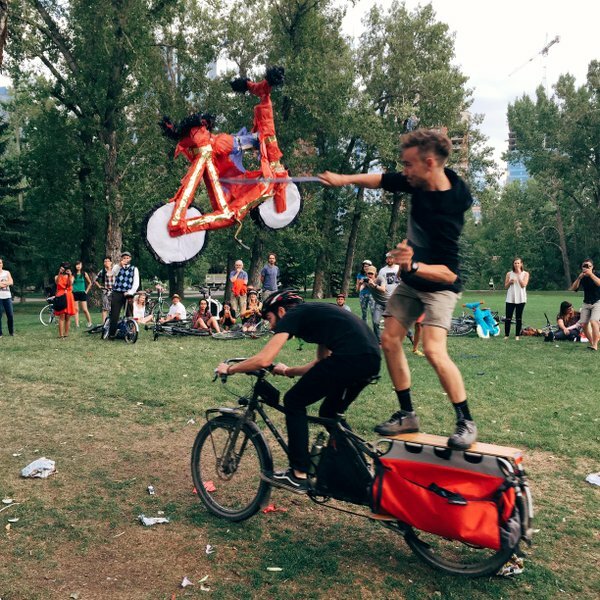 Bring a fun attitude, bring some music and come fully ready to celebrate with Cyclepalooza the closing of our awesome festival. Invite all your friends, the more, the merrier!